How can Manager's access forms once they are already submitted? In regards to submitted forms-we will have 10 different managers submitting these forms. 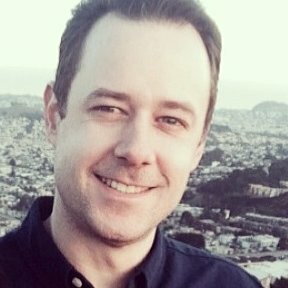 If they want to view a form X weeks after the fact, are they able to log in and see forms they have already submitted? Do they create a user account or is it based on email? If you meant you want the managers to view the submission data of the form even though they do not have JotForm account, yes they still can. You can just share the form's submission data to the managers. Follow user guide below on how to share. You can also control which date range (i.e. X weeks) you want to be shared. You can do that in the view submission panel as well. 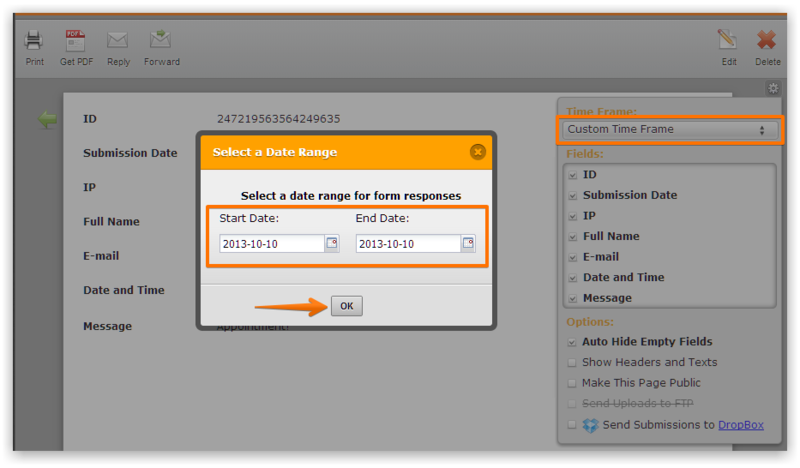 While on the form's submissions page, click on Preferences icon (small gear image on the screenshot below) on the right side and select a date range. Click the Time Frame drop down to show the list of options for partial downloading of submissions. You can also use "Custom Time Frame" to limit the date range of your submissions so you can get a smaller batch of submissions for easier download. I want to know after I create these sub user accounts AND I share the forms with them, can ALL sub-users view the forms submitted, or can ONLY the users that submit the forms view them? I unfortunately purchased an upgrade without a final answer on this and am seeing that EVERYONE can see the forms submitted. I do NOT want this to happen. There are two different options, share all forms or select from my forms. 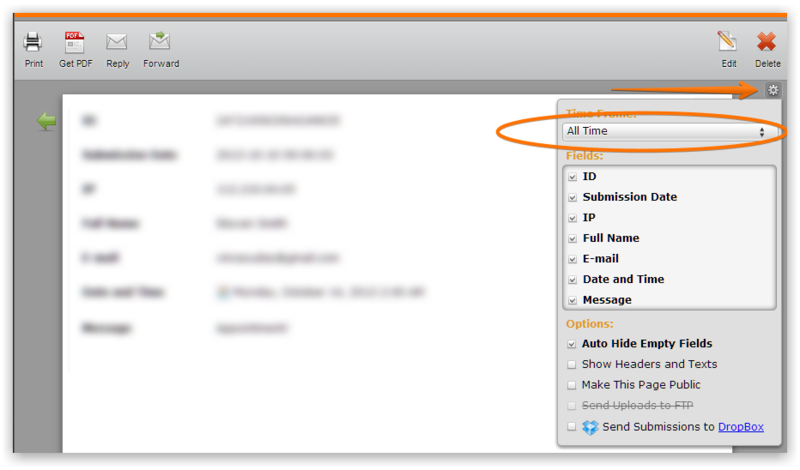 The second option will allow you select which forms that specific sub-user has access to. I understand that. What I continue to ask is if it is possible to have 10 people having access to the same form, but only having visibility to the forms that ONE person has submitted, not all 10 users submitted forms.